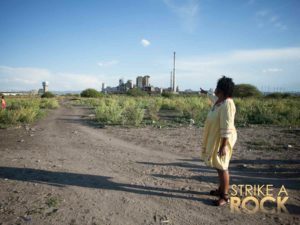 The multi-award winning South African film, Strike A Rock, will storm local cinemas this November after a successful festival run both locally and abroad. Director/producer Aliki Saragas’ first feature documentary film, tracks the lives of Primrose Sonti and Thumeka Magwangqana – champions of the Women’s Group, Sikhala Sonke (We are crying together) – as they fight for a better life in Marikana mining community after 34 striking mine workers were shot dead by South African Police in 2012. 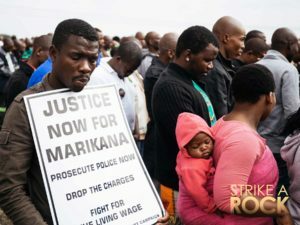 Comparable to the infamous Sharpeville Massacre of 1960, the Marikana Massacre left devastation in its wake as the men went on strike for a living wage of R12 500 per month. 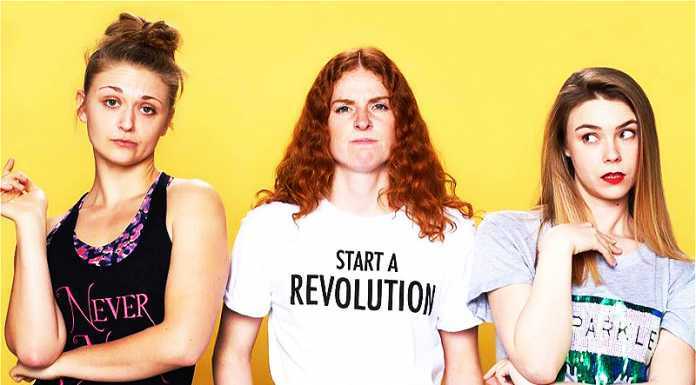 Strike A Rock is a superb offering of progressive female voices on screen that highlights the complexities of life for the women left behind as they endeavour to help their community to rise above their circumstances. In an intimate rendering of how the personal becomes political, the film follows Primrose and Thumeka’s increasingly strained friendship alongside their struggle to achieve socio-economic justice for the people of Nkaneng informal settlement after mining company Lonmin Plc failed to deliver on their legal obligations to the community. It is the first documentary to successfully allow the women of Marikana to tell their story on an international platform and to portray their fight for a dignified life as they express their disappointment with the current ruling political party and rally around the, then-newly formed Economic Freedom Fighters. Strike A Rock has returned from its second UK tour after premiering at the Sheffield International Documentary Festival in June 2017. 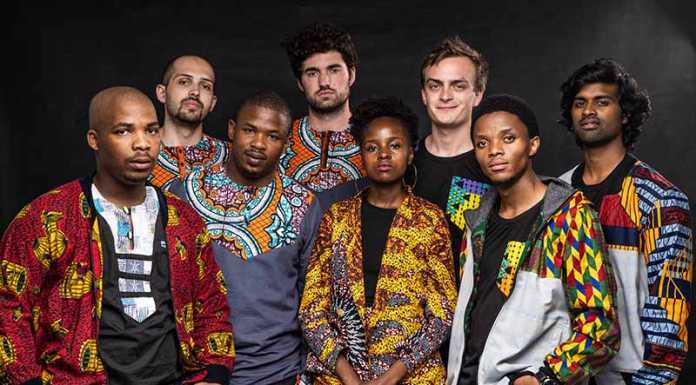 It was one of six projects chosen to pitch at Good Pitch Kenya in 2016 and the European Documentary Network. It opened the Encounters Documentary Festival 2017 and won the Audience Award for Best South African Documentary. The film has also won the Best South African Documentary and the Amnesty International Durban Award for Human Rights at the Durban International Film Festival 2017. Strike A Rock will also travel to Amsterdam for the Panorama section of the International Documentary Film Festival Amsterdam (IDFA). And will show in local cinemas in Johannesburg, Cape Town, Durban and Pretoria. 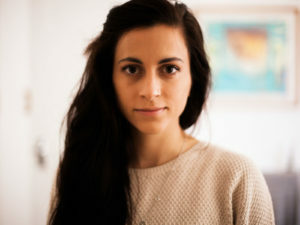 Director Saragas, says that she is “overwhelmed and inspired by the success of Strike a Rock and how it has resonated with audiences around the world”. The Encounters Fest described it as “an extraordinary ode to quite extraordinary women catalyzing political change throughout the fallout of the Marikana Massacre” and Radio 702’s Mmakgomo Tshetlo called it “a groundbreaking feature that offers a counterpoint to Rehad Desai’s Miners Shot Down”. Saragas adds: “The situation in Marikana is dire and it is my hope that the film will work to amplify some of the voices of the mining community that still does not have basic services”. Thumeka’s voice echoes through the film as she so eloquently puts it: “We have no Electricity, but 200 meters away, Lonmin’s lights shine all night”. 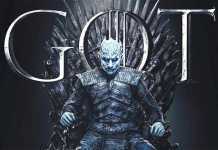 Next articleStephan Bodzin: Win Tickets!